The key reasons of hostile takeover of businesses in Ukraine are corruption and problems with the system of public registration of property, Anticorruption Entrepreneurial Front President Igor Egorov has said. “The existence of hostile takeovers comes from a corrupt government, complete impunity for committing crimes of this kind and low-skilled law enforcement officers. According to official data of the Prosecutor General’s Office for 2017, 315 criminal proceedings were registered under the article on obstruction of lawful economic activity, 99 crimes under the article on unlawful seizure of property, of which two and four, respectively, reached the court,” he said at a press conference at Interfax-Ukraine on Wednesday. He also said that foreign companies for these reasons do not want to invest in a business in Ukraine, and each case of hostile takeover is a blow to the country. An example of this problem was the hostile takeover of a business center located at 21G, Dehtiarivska Street in Kyiv on December 11, among whose tenants are foreign companies and the 112 Ukraine TV channel. 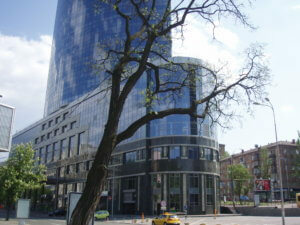 Representatives of the co-owners of the business center, Office Line and Patron Invest, said that the police could not take control of the situation, since the persons who had seized the building announced that the Avangard Invest LLC had acquired ownership rights to the business center. At the same time, the owners claim that the building was re-registered using illegal schemes and forged documents. 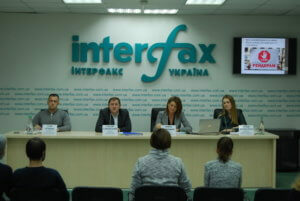 According to lawyer of Patron Invest Iryna Belytska, one of the reasons that made this new registration possible is the weakness of the public registration system and a fairly wide access to public registers. “10 years ago it was impossible to accomplish this. Now it can be done in three days, having access to the register. Unfortunately, over the years of the register’s existence, the pain points have not been eliminated,” she said. Belytska said that Office Line and Patron Invest will defend their rights in courts, as well as initiate investigations by law enforcement agencies. However, the negative consequences of the incident cannot be avoided. “We have applied to law enforcement agencies, human rights organizations and we will use all available mechanisms,” she said. According to the lawyer, the investment value of the office building is $10.5 million. Businessman Vagif Aliyev, the investor and owner of the Lavina, Blokbuster and Ocean Mall shopping and entertainment centers in Kyiv, plans to finish the sale of a part of the Parus class A business center in Kyiv by late 2018 to finance construction of the mega mall network. “Yes, we will gradually sell Parus,” Aliyev said in a blitz-interview with Interfax-Ukraine. According to him, negotiations on the deal are currently ongoing, but the buyer’s name has not been announced. “We are in the process of negotiations… [The transaction] is not yet completed, we are in the process of discussing the financial interest..,” the developer said, adding that the completion of the transaction is expected by the end of 2018. As reported, at the end of 2016, Aliyev said that he was ready to sell the Parus business center if he could not attract loan funds to complete the construction of the Blokbuster Mall shopping center. Aliyev announced the completion of the transaction on the sale of the Senator business center located at 2, Riznytska Street, in the Pechersky district of Kyiv. The Parus business center with 33 floors located at 2, Mechnikova Street in the Pechersky district of Kyiv was commissioned in 2007. The building has an underground four-level parking for 300 cars. The Antimonopoly Committee of Ukraine (AMC) has allowed Dragon Capital Investments Limited (Nicosia, Cyprus) and The Goldman Sachs Group (New York, the United States) to acquire indirect joint control over the Horizon Park office center with a total area of 68,800 square meters in Kyiv. According to the AMC, the committee, in particular, permitted Dragon Capital Investments Limited to indirectly acquire assets in the form of an integrated property complex located at 12 Amosova Street and 12 Hrynchenko Street. 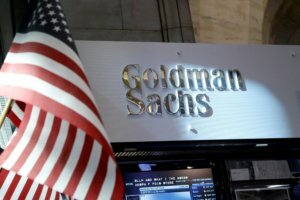 “This concentration takes place along with concentration in the form of the mediated (through the subsidiary Horizon Park, Kyiv) acquisition by The Goldman Sachs Group, Inc. of assets in the form of a single property complex … owned by Ukrsotsbank joint-stock company,” the regulator said. According to the unified state register, as of October 3, 2018 the owner of 100% in the charter capital of the subsidiary Horizon Park is Melador Investments Limited. The ultimate beneficiary is Tomas Fiala, the owner of Dragon Capital Investments Limited. Dragon Capital Investments Limited is part of Dragon Capital group of companies, founded in 2000 and one of the largest ones in the Ukrainian investment market.